There's no joy in shopping for printer ink. It's expensive to buy, little fun to use, and before you know it—it's time to purchase it again. And that's a constant cause of frustration among printer owners. In CR's annual printers survey, the expense of ink or toner replacement is the most common pain point for printer owners—affecting the owners of 1 in 5 printers. Thinking of Using Third-Party Printer Ink Cartridges? 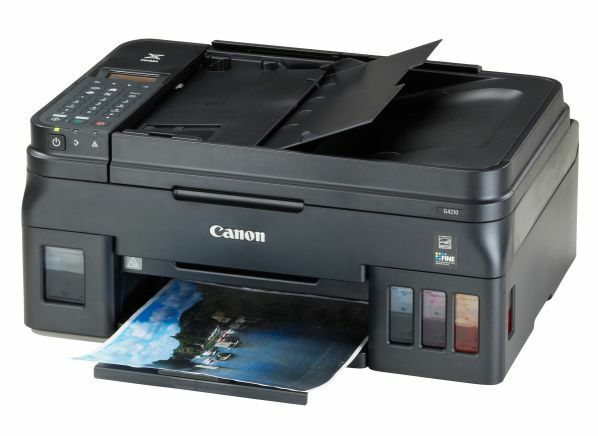 Is the Canon Pixma G4210 the Solution to Your Printer Ink Woes? One reason for the complaints could be that people underestimate the engineering that goes into printer ink, says Rich Sulin, who leads CR's printer-testing program. "People don't see the science and engineering behind printing," he says. "So, it's easy to understand why shoppers have such a strong reaction to plunking down $50 to $100 for little black chunks of plastic." Here are a few reasons that printer ink is so expensive—plus expert tips to help you save. The oldest ink drawing in the world was created 73,000 years ago, according to archaeologists. The ink used in early printers occupied the far opposite end of the longevity spectrum. Scott Williams, a chemistry professor at Rochester Institute of Technology, says that early printer inks were essentially a mix of food dye and water that would fade in just a few months. "Companies like Epson, HP, Canon, they all had to do research in translating a dye to a pigment composition to be able to get the photographic quality everybody wanted," he says, while also producing prints that would last. Today's inkjets have a tough job: firing thousands of drops of ink per second, representing four different colors, with tremendous accuracy. And it needs to be quick-drying and water- and smear-resistant, and avoid making the page curl up—while also preventing the tiny jets from clogging. "Ink companies spend a lot of time to get the right blend of pigment, dye, and vehicle to be able to have a very stable small droplet for high-resolution printing," Williams says. All of that research and development, of course, costs a lot of money—and that's where the price comes in. "Think of the original price tag of a printer more like a down payment," Sulin says. "You're still expected to make periodic payments over the course of ownership." According to IHS Markit, a global information provider, the cost to build a printer is higher than the retail price of most—if not all—consumer printers. Consider the CR Recommended $70 HP Envy 4520 all-in-one printer. IHS estimates the manufacturing cost of the printer to be about $120. HP declined to comment on the cost calculation. IHS says it created the estimate by disassembling the printer and tallying the price of every component, including the monochrome display, enclosure, the included cartridge, the scanning window glass, image sensor, and so on. The $120 figure doesn't include research and development and post-manufacturing costs, such as shipping. “This is a classic razor-and-blade business model where the manufacturer sells the goods at a low price to help increase the sales of accessories, where the money is made,” says Wing Lam, associate director of cost benchmarking at IHS Markit. Selling a product at a loss is not a strategy exclusive to printers. IHS estimates that the Amazon's Dash Wand sells at a loss, too, and the PlayStation 4's components add up to more than its retail selling price, according to a few market analysts. Lam says this is a big reason that printer manufacturers do things like having a printer authenticate an ink cartridge before using it. If a consumer relies on third-party inks, the printer manufacturer may not recoup the cost of the printer. Most consumers are getting only half of what they think they're paying for. According to our labs, with many printers, more than half of the ink you buy will never wind up on a page. Printers use ink in two ways. First, of course, they use ink to print documents and images. But inkjets also use ink just for maintenance, mainly for cleaning the printheads. “Most people aren’t really aware of the maintenance needs of inkjets,” Sulin says. “It’s typical for an inkjet to waste as much ink on maintenance cycles as it uses to print documents,” he says. However, there are big disparities in efficiency between models, Sulin says. Some printers use much more ink than others for maintenance—and the differences to the consumer's bottom line can really add up. Consider the Brother MFC-J775DW XL and Epson Expression Photo XP-8500. Both sell for about $250 and perform well, yet one is far more frugal than the other in using ink for cleaning and maintenance. The MFC-J775DW XL will cost the typical user an estimated $27 per year for ink, according to Consumer Reports' calculations, but the XP-8500 requires 10 times that—about $280. Consumer Reports members can consult the "Maintenance Ink Use" score in our Ratings to make sure your current or prospective printer is efficient with its ink. Turning a printer off and back on can trigger a maintenance cycle, so it's more efficient to leave your printer on. And don't worry about racking up a massive electricity bill, Sulin says. Inkjets nowadays consume very little power when not in use. "It's also important to keep your printers in a cool, shaded location. Drier, hotter environments may also increase the chance of clogged heads," Sulin says. What Alternatives Do You Have? Laser printers. 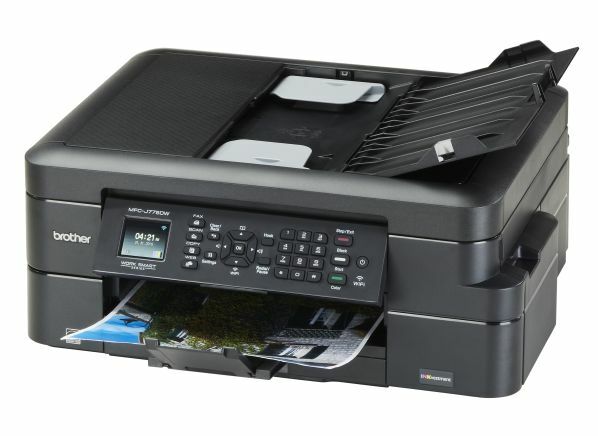 You may associate laser printers with home offices or small businesses—and high prices—but some black-and-white laser printers are very affordable and can be attractive for everyday use. Laser printers use dry toner, rather than ink, and don't use any toner for maintenance, making them less expensive to operate. However, laser printers are not for everyone. Lasers can't match inkjets in quality when it comes to printing photos. 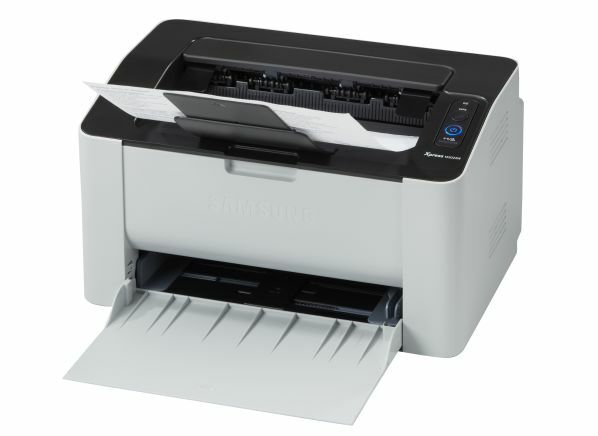 And though black-and-white laser printers, such as the Samsung Xpress M2020W, don't have to be expensive, color lasers tend to have high prices. Additionally, Sulin says, "color lasers are larger and heavier than their inkjet counterparts." Reservoir printers. Recently, a new type of inkjet printer with much cheaper ink has become available. These new reservoir printers are very expensive up front—$300 and up—but if you look past that price tag, they may save you money in the long run. These models use reservoirs instead of replacement cartridges to print. The refills may last up to two years. For instance, the CR Recommended Canon Pixma G4210 sells for $300, and refill bottles cost $13. If you look at the overall cost of ownership, this model becomes one of the cheapest printers in our ratings after 2 1⁄2 years. Third-party ink. Printer makers want consumers to buy ink from them, but consumers do have other choices. A number of companies sell refurbished or refilled cartridges online and through walk-in stores. You can even get your empty cartridges refilled at Costco or Walgreens. Consumer Reports doesn't rate third-party inks, but in the lab our testers have tried a number of these products and found the quality to be inconsistent. "Many third-party inks were a step down in quality from the manufacturer brand, but still usable," Sulin says. "However, we also found a few more challenges to get them working properly." Williams, the RIT chemist, says some third-party inks can leave behind "satellite droplets." These occur when the droplet "sort of falls apart in flight because the flow properties are just not right," he says, creating inaccurate, inconsistent prints. However, Williams says that third-party inks can be a good choice for some consumers. "If my end use is just copies for the office to be able to use as a memo and I really don't care about high definition quality," he says, "I think a third-party ink would be just fine."